It's no surprise that LAAX is the leading freestyle resort in the Alps. It has the longest continuous halfpipe in the world, an Olympic-size kicker pro-line and a total of over 90 obstacles, all spread across four snow parks. In LAAX, around Crap Sogn Gion, freestyle has a real tradition. Whether you're making your first attempts on the rail or performing spectacular runs in the halfpipe, one thing is certain – your freestyle heart will be racing. Want to try out your first tricks and jumps on boxes and rails? In the Beginners' park between Crap Sogn Gion and Alp Dado, you can comfortably get started in the snow park scene and improve your skills on boxes, rails and tables. If you want to take your skills to the next level, then Ils Plauns snow park is the place for you. There are a host of rails, boxes and various kicker lines waiting for you between Crap Sogn Gion and Alp Dado. You can quickly get to grips with new tricks, push yourself to the limit and perfect your style. "P60 all day!" 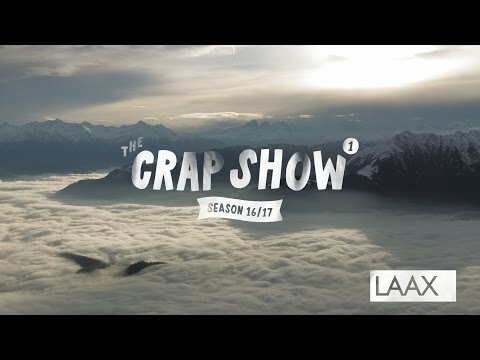 If you've been to LAAX, then you'll know this saying. It's easy to spend the entire day at P60. You will find a vast range of rails, boxes, slides, pyramid walls and industry pipes, and all in a single run. On a slope length of no less than 1,000 metres, you will also find the kicker pro-line with four Olympic-size kickers. Want to make your jumps even more spectacular? It's time to tame "The Beast". The legendary NoName snow park is home to the largest superpipe in Europe with a length of 200 metres, a width of 22 metres and a world record height of 6.9 metres. There is also a mini-pipe for those looking to make their first jumps, where you can also simply work up a little surf feeling. This winter there is a day lift ticket, which is only valid in the snowparks. Find out more in the INSIDE LAAX App. If you ever need a break, you should definitely stop by Caffè NoName, the hub of the freeskiing and snowboarding scene. Here you'll find fresh panini, summit ice and much more every day. Nicolas Müller is a true snowboarding legend and began his career on the halfpipes in LAAX. A distinctive style and the ability to master terrain like no other are the trademarks of this star who now calls LAAX home. He does not associate snowboarding with competitions, but rather with a unique way of life. Consequently, his favourite event is the SuddenRush Banked Slalom in LAAX. This relates to the very basics of snowboarding – making beautiful curves and experiencing the moment. Nicolas also supports our Greenstyle initiatives and is an ambassador of the "I AM PRO SNOW" camapign. Flims native Andri Ragettli has been a superstar in the freeski scene for many years. He stood on skis for the first time at the age of two in LAAX. By 17, he was challenging for a podium place at the X Games in slopestyle. The freeski sensation was the first person ever to pull off back-to-back triples in the final. And although Andri is now causing a stir among the international freeski elite, his favourite ski resort remains LAAX. Sina Candrian grew up in Laax and tried snowboarding for the first time at the age of five. She became a professional snowboarder in 2005 and has been among the forerunners in international competitions ever since. The Burton European Open in LAAX (now the LAAX Open) remains a very special event for Sina, as this is where the LAAX local launched her professional career by achieving second place. She has also got involved in the "I AM PRO SNOW" campaign. There is no doubt that David Hablützel is one of the most promising young snowboarders in the world. He achieved podium positions at the Burton US and former European Open, fifth place at the Olympic Games in Sochi and third place in his home competition, the LAAX Open. Dave knows the LAAX superpipe better than virtually anyone else. LAAX has been his second home for many years, and he is also well known in the Freestyle Academy - in 2009, he won the Mini Shred Contest here.